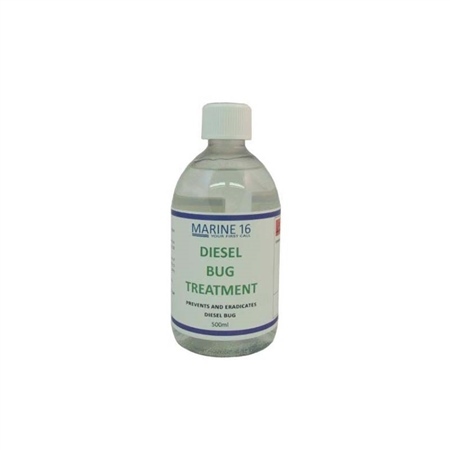 This diesel bug treatment is a biocide blend formulated especially for preventing or eradicating the fuel spoilage organisms known collectively as diesel bug. It disperses into both the water and fuel phases in your tank and will remain sufficiently active for over a year at both high and low temperatures. A 100ml bottle is sufficient to prevent diesel bug growth in 2,000 litres of fuel. For serious contamination addition rates of 100ml to 100 litres may be required and several doses may be required to break up and remove the biological sludge that forms.